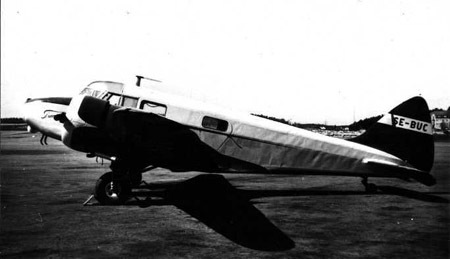 The aircraft was originally registered G-AIOP and was bought by Nordisk Aero Transport. When Transair was founded in the summer of 1951 this was the first aircraft registered on the new company. It served Transair until September 1955 when it was scrapped. First service was for Royal Air Force with serial X7262. After this the aircraft was serving with Royal Norwegian Air Force as V-AR until it was bought by the newly formed Transair in 1951. 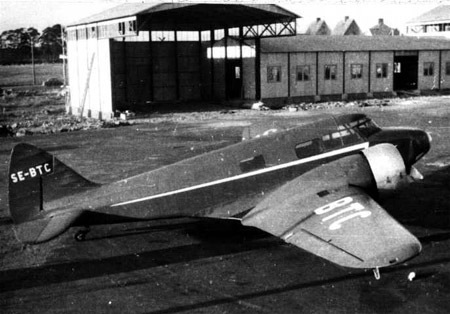 The aircraft was supplied with camera-installation 1956 before serving for the Airborne Mapping System. One year later it was also equipped with outfit for oretracking. In December 1959 the aircraft was sold to Denmark as OY-FAU. Airspeed AS 10 Oxford, c/n ?? First service with Royal Air Force as serial T1322 and later Royal Norwegian Air Force as V-AV. 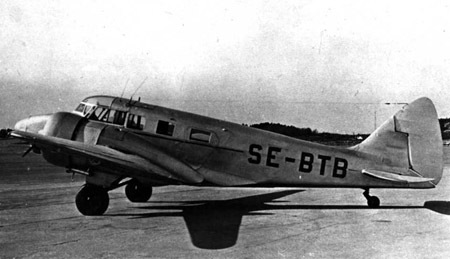 The aircraft was in service with Transair between May 1952 until December 1959 when it like SE-BTC was sold to Denmark and the new registration became OY-FAR.